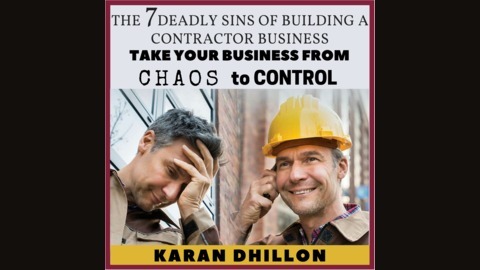 Are you "living in sin" in your contracting business? No, no, not that kind of sin. I'm talking about the kind of "sin" that gets in the way of your ability to be successful in business. A sin of mindset, of the way you think. You see, small-minded thinking will keep your small business small – or kill it outright. On the other hand, if you can master the mindset of success it will become almost impossible for you to fail! The bottom line is that the way you think about your business as a contractor determines your success far more than anything you do. After all, every action is preceded by a thought – which means the idea had to have been there before the action occurred. Are you "living in sin" in your contracting business? No, no, not that kind of sin. I'm talking about the kind of "sin" that gets in the way of your ability to be successful in business. A sin of mindset, of the way you think. You see, small-minded thinking will keep your small business small – or kill it outright. On the other hand, if you can master the mindset of success it will become almost impossible for you to fail! 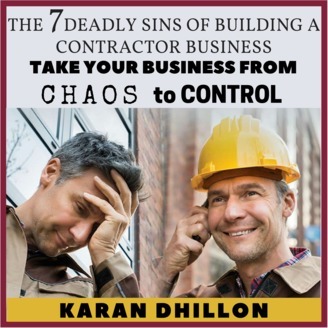 The 7 Deadly Sins of Building a Contractor Business - 03 - Sin #1 – I Am Already Out of Time; If I Grow My Business, I Will Be Even Busier!